Peru is a fabulous country in South America that any intrepid traveller will love discovering. It is bursting at the seams with astonishing archaeological sites, thick rainforest and a stunning coastline, so when visiting you are truly spoilt for choice of things to see and do. There are a few obvious highlights, but also a few that can showcase the lesser exploited side and reveal the true heart and soul of this special country. Here are 11 top things to see and do in Peru. The most obvious highlight (and for good reason) is discovering the astonishing 15th-century Inca ruins of Machu Picchu. 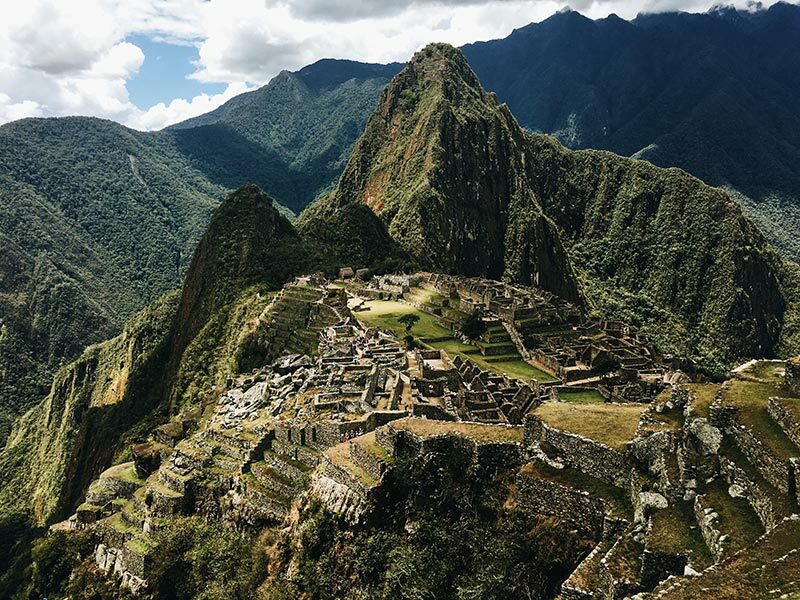 The Inca Trail is the best way to visit Machu Picchu, as it will take you on a once-in-a-lifetime four-day trek through deserted villages, before finally arriving at the mystical secret city high in the mountains. As if Machu Picchu wasn’t enough, Peru is home to a large section of the Amazon rainforest. 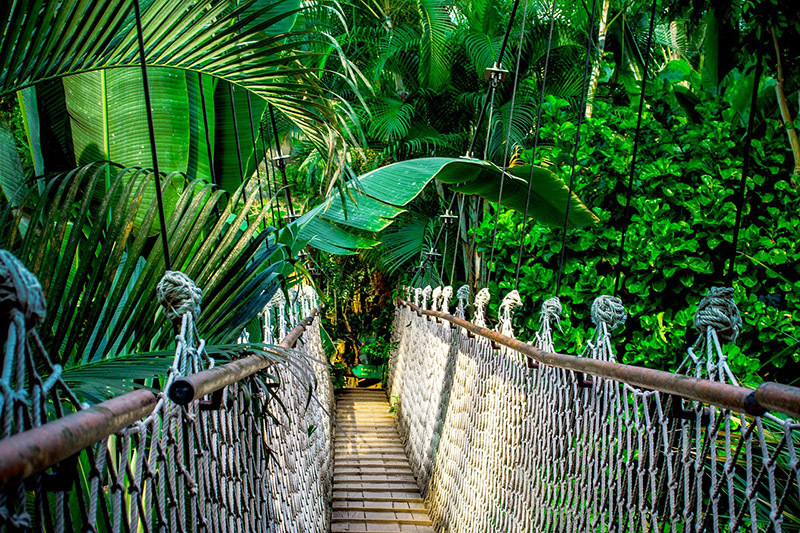 In fact, Peru has the second largest section of this legendary rainforest behind Brazil, so you will want to spend a good amount of time exploring this legendary part of the world. The main entry points are from Iquitos and Puerto Maldonado – both are great areas for discovering the incredible ecosystems and wildlife found within the rainforest. Colca Canyon is a breathtaking sight to behold with beautiful natural surroundings. 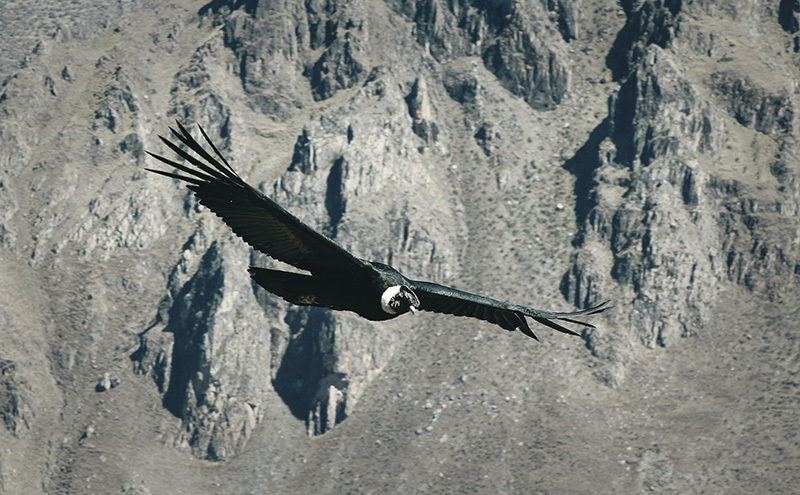 Whether you are hiking or simply observing the canyon, it is a must visit during your time and you may even be lucky enough to catch a glimpse of the rare Andean Condor – this bird has the largest wingspan of any land bird at a staggering 3.2 meters! 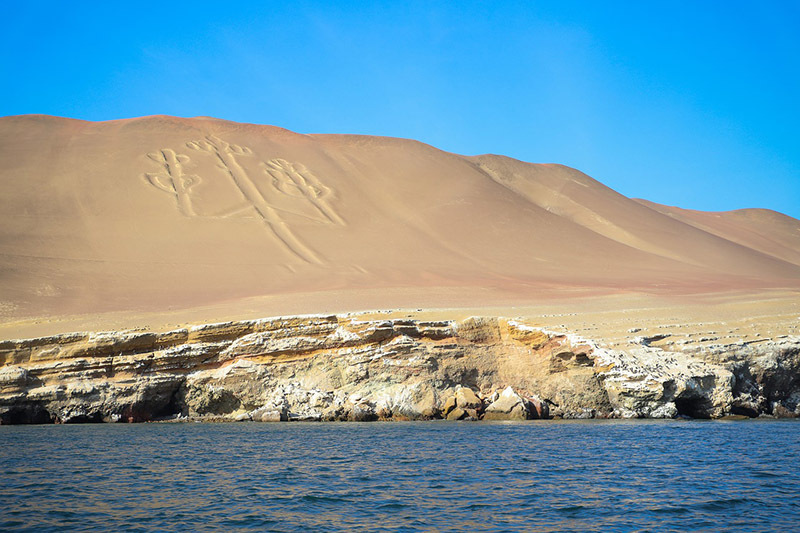 There is a great deal of mystery surrounding the Nazca Lines, which are enormous etched drawings found deep in the coastal desert south of Lima. 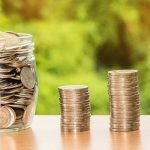 These figures – mainly people and animals – are one of the stranger attractions with a range of different theories regarding their origin. The best way to see them will be through an airplane tour from the capital. Straddling the border of Peru and Bolivia in the Andes Mountains is the spectacular Lake Titicaca – the world’s highest navigable body of water. 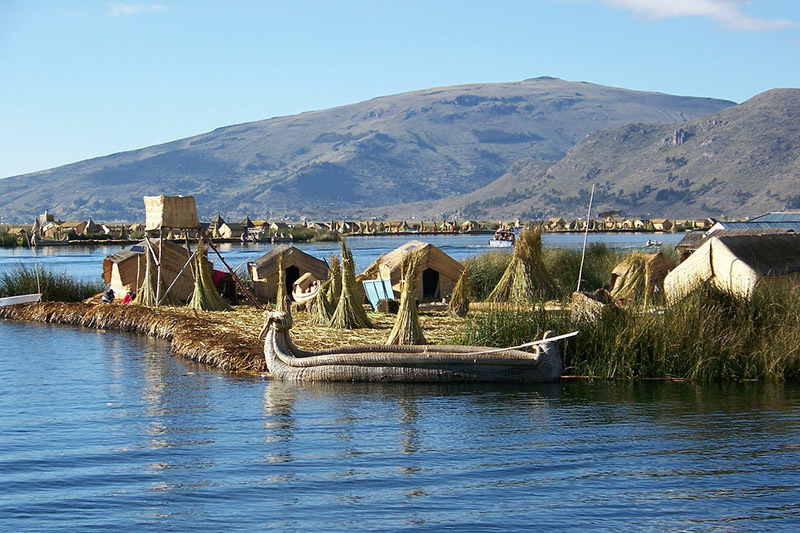 The lake is known for its brilliant floating reed islands which are home to tribes that even pre-date Incan civilisation. Due to its surreal setting, the views here can be mesmerising and it also plays an important role in South American history. 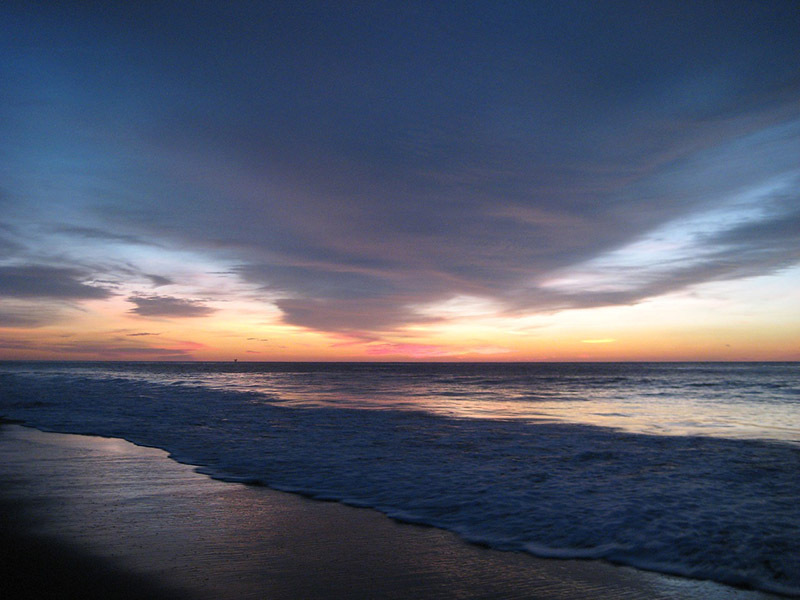 Surf’s up in Mancora, so be sure to head here to chill out on the beach and catch some waves. Mancora is a popular resort town on the Northwest coast which also features a lively nightlife – this makes it a popular spot with young fun loving travellers, but it is a nice area for chilling out no matter your age. 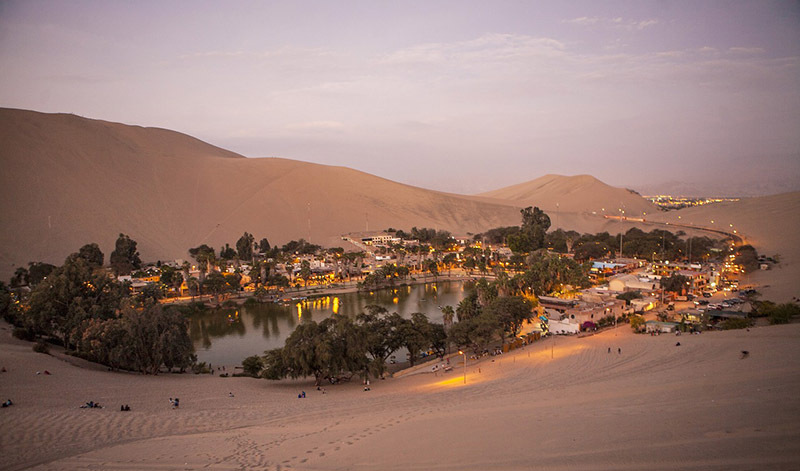 Found south of Lima and just outside the city of Ica is this tiny desert oasis and village, which can be a welcome change of pace from the more hectic areas of Peru. The charming village is built around a serene natural lagoon with huge surrounding sand dunes. 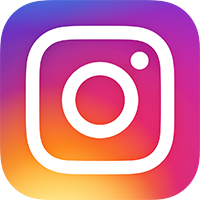 The shores are lined with inviting bars and clubs, whilst active types will want to go sand boarding or ride high-speed dune buggies out into the desert. Many tourists travel through Cusco because of its proximity to Machu Picchu, but it is actually highly worth stopping off and exploring. 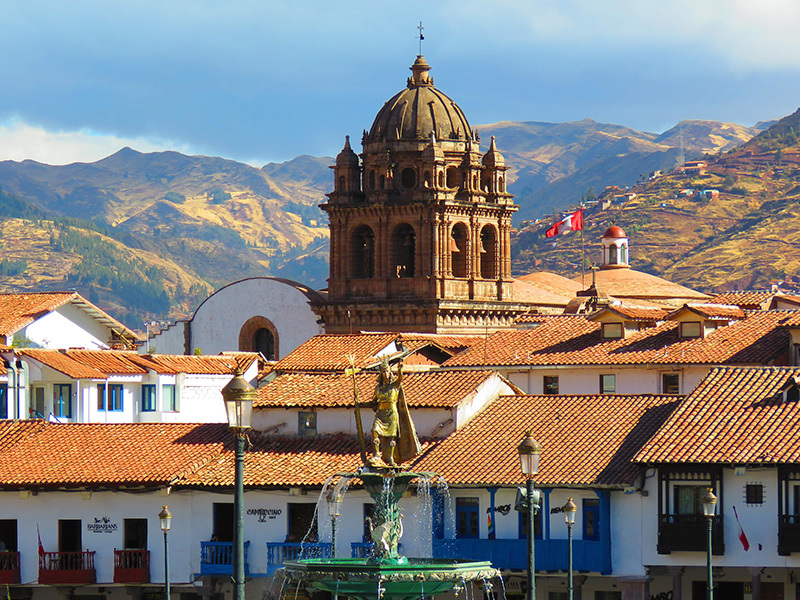 Cusco was originally the capital of the Inca Empire and still has many fascinating archaeological remains, along with stunning Spanish colonial architecture. 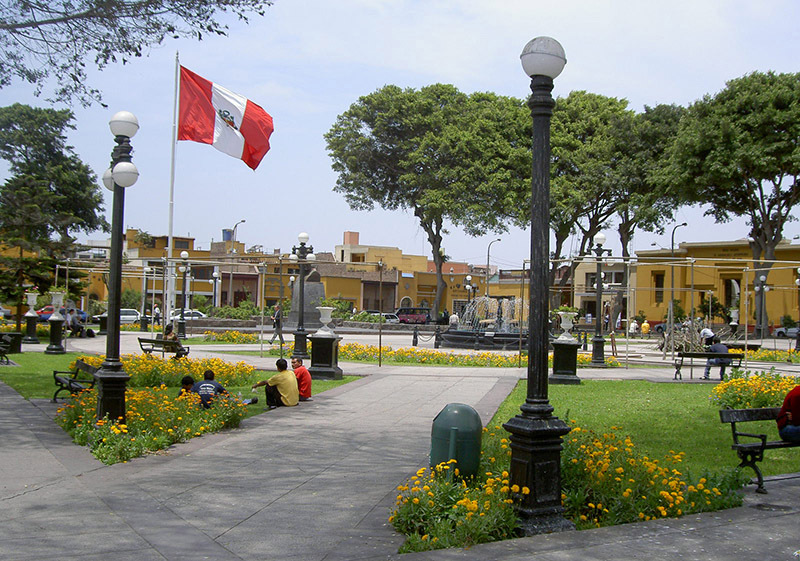 Plaza de Armas is the cultural hub of the city with many bars, cafes and attractions nearby. 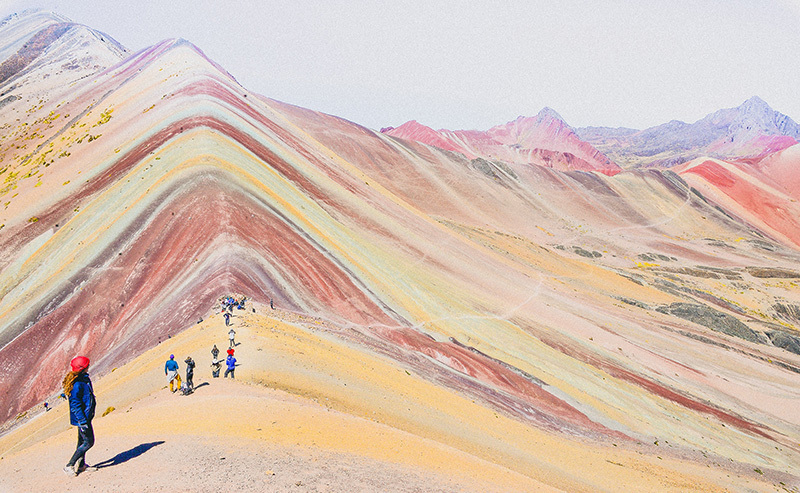 Whilst in Cuzco, it is worth the day trip to The Rainbow Mountain just outside the city. Aptly named, this mountain is one of the more striking geologic features in the world with marvellous bands of bright, contrasting colours including turquoises, gold, lavender and maroon. As with any destination, the Peruvian cuisine plays an important part in the country’s cultural identity. It includes influence from the indigenous population (including the Inca) along with Western influence. There are all kinds of tantalising specialities to try, but if you are feeling adventurous then Cuy (guinea pig) is one of their major dishes served here. Check out 10 top foods to try in Peru. 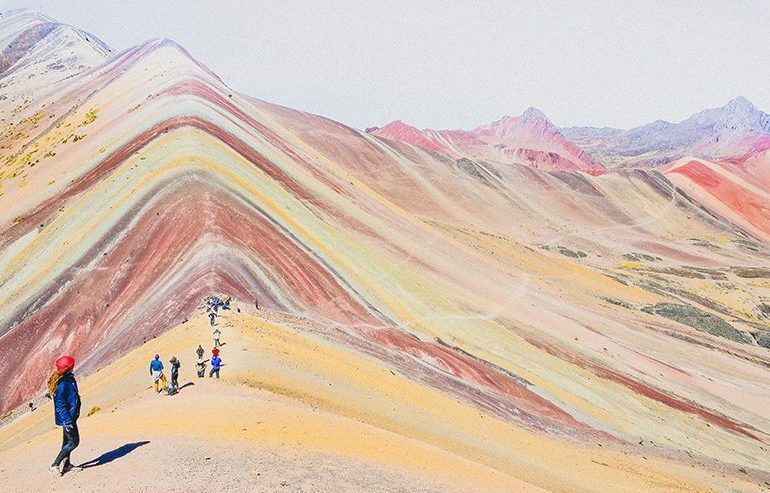 The intriguing history, rich culture and incredible natural variety found in Peru ensures that it is a brilliant destination for an eye-opening adventure. 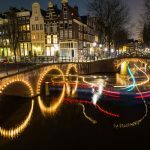 From the mystical Machu Picchu to the Amazon rainforest to the picturesque coastline, this is a country with an incredible amount to see and do. It can be hard to know where to begin, but the above will take you to all the key spots and allow you to understand the heart and soul of this great country. Hey Buddy!, I found this information for you: "11 Top Things to See and Do in Peru". Here is the website link: https://www.travelanddestinations.com/top-things-to-see-and-do-in-peru/. Thank you.